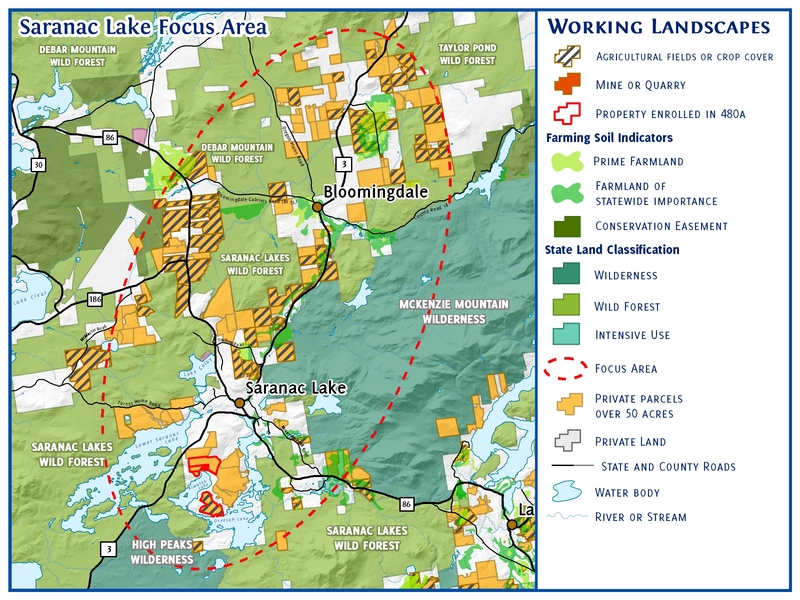 The Saranac River Basin Communities focus area comprises lands within the Saranac River watershed and includes lands surrounding the Village of Saranac Lake. 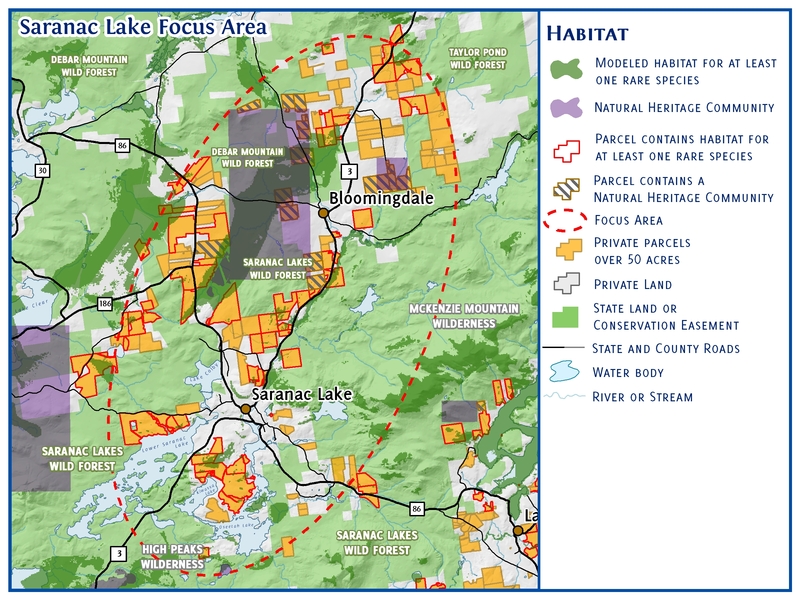 This base map shows the basics of relief, land and water characteristics, and parcel locations of properties under 49 acres and of properties greater than 50 acres in size within the Saranac River Basin Communities focus area. This map also shows the political distinctions among state and private land. 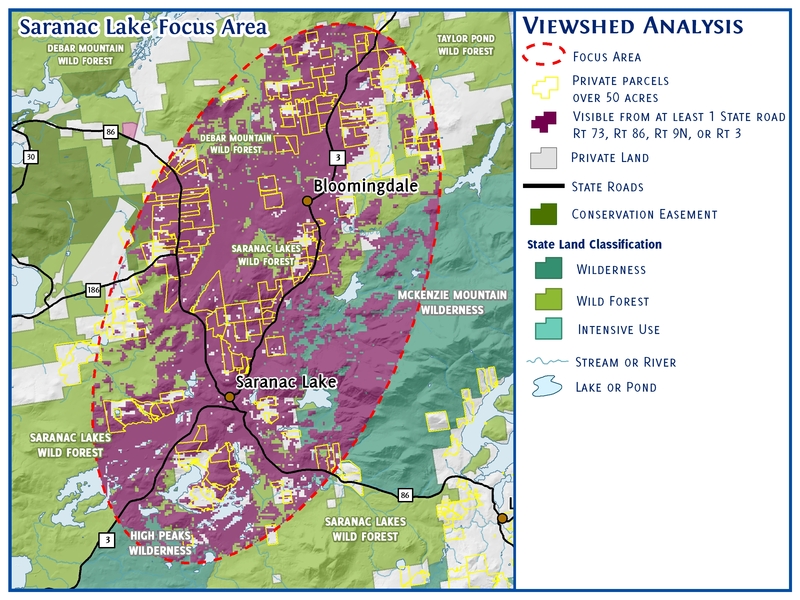 Explore more Saranac River Basin Communities maps below. This map depicts Prime Farmland and Farmland of State Importance . denotes land with cover crop management and denotes properties enrolled in 480-A for forestry management. Mines and quarries are . 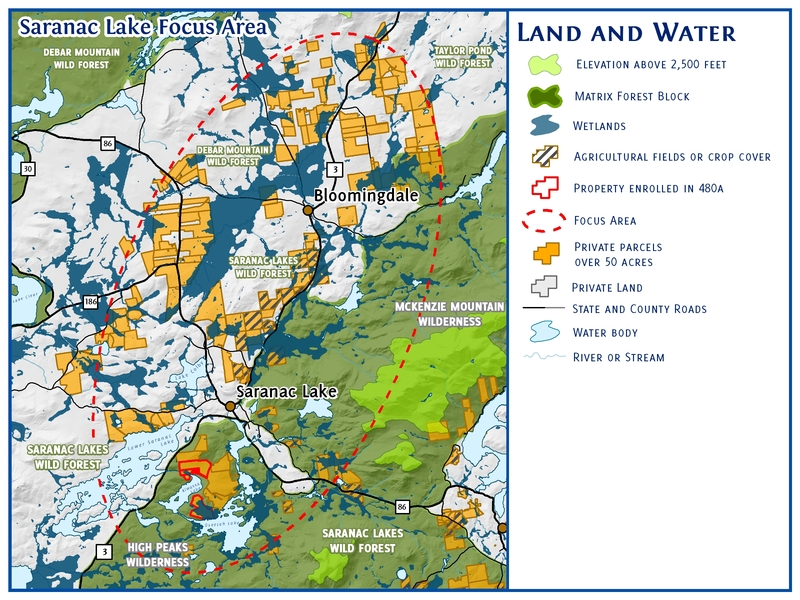 This map depicts the attributes of land and water critical for ecological integrity. Matrix Forest (selected by The Nature Conservancy as the most viable examples of the dominant forest communities in the state). denotes elevation above 2,500 feet. Lakes and wetlands are in the two shades of blue. This map depicts the important habitats critical for ecological integrity. areas signify regions that comprise at least one modeled rare or endangered species distributions. These were obtained from the New York Natural Heritage Program. areas denote special Natural Heritage Communities. This map shows the areas of land viewable from at least one vantage point along a state road.